National Museums Scotland has today announced that it has achieved its fundraising target of £1.98 million in order to acquire the Galloway Hoard on behalf of the nation. 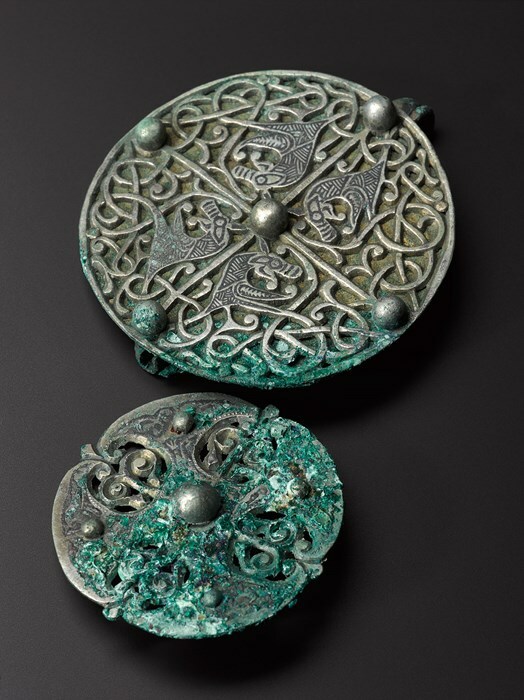 A generous funding contribution of £1 million from The National Heritage Memorial Fund (NHMF), £150,000 from the Scottish Government and widespread public support have helped secure the future of the unique Hoard of Viking-age treasures. Following the allocation of the Galloway Hoard in May 2017 to National Museums Scotland by the Queen’s Lord Treasurer’s Remembrancer, National Museums had just six months in which to raise the necessary funds. Since then a wide-ranging campaign has been underway to raise funds from trusts and private sources. The acquisition has been made possible by the generosity of funding from the NHMF, Art Fund, members of the public, the Scottish Government and trusts. People have been incredibly generous in their response to the campaign with over 1500 donations from the public appeal enabling us to reach our target of £200,000. “I am hugely grateful to the National Heritage Memorial Fund for its generous Grant of £1 million. This contribution has provided the final step to reaching our target and enabled us to save the Hoard for the nation. “In the last six months we have been overwhelmed by the response from the general public who have got behind our campaign to ‘Save the Hoard’. I am also grateful for the generosity of Art Fund, the Scottish Government, charitable trusts and individual donors. “I would like to say a personal thank you to everyone who has generously donated to the Campaign, without them this incredible achievement would not have been possible. It is anticipated that the necessary conservation and research work will take around two years before the Hoard will once again be seen at the National Museum of Scotland prior to a national tour. Further details of the tour will be announced at a later date.